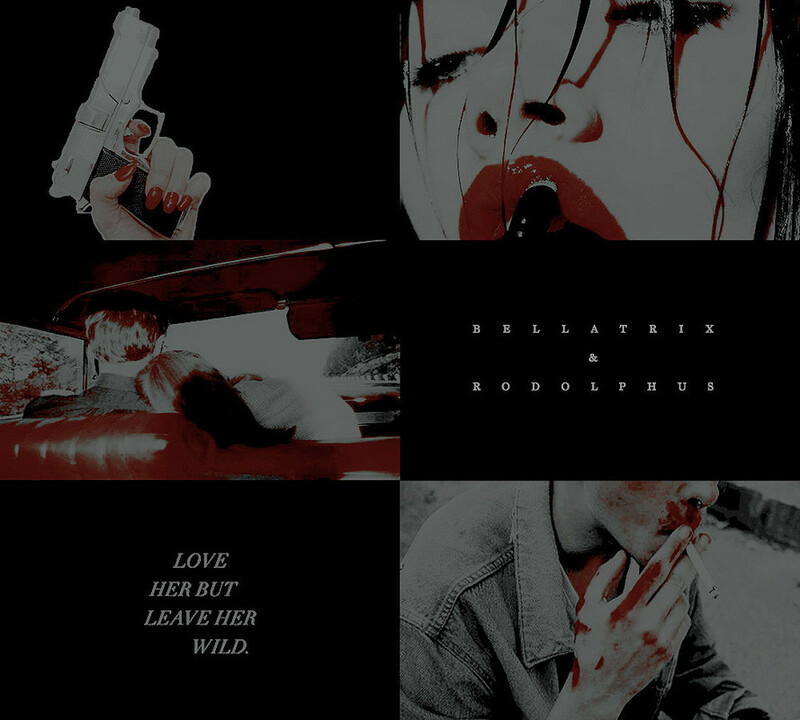 We're a group for fans of the Harry Potter pairing Rodolphus Lestrange/Bellatrix Black. Bellatrix and RudolphusDark storm clouds loomed over the horizon above Malfoy Manor, threatening to burst at any moment, casting the world in shadow. The manor stood tall on a deserted grassy hill, overlooking the deep woods that lay beyond it. Bellatrix FanFic 28Winter quickly began to melt into spring and time was flying as the dark lord’s grasp on wizarding Britain began to tighten. It had been ten months since her escape and her dark lords return. They had accomplished so much in such little time. They were stronger now than they had ever been, and their adversaries fell swiftly at their hand. Even more exciting was their slow expansion into the rest of wizarding Europe. They had followers everywhere now, and it was only a matter of time before the dark lord himself was pulling the strings for the entire continent. To say these were exciting times was an understatement, to say the least. Bellatrix FanFic 26"Madame Lestrange," a skinny little wizard exclaimed as he tried to keep up with Bella as she marched through the atrium of the ministry. "We've been expecting you, it is such an honor to have you here with us," the skinny wizard continued forcing Bella to hide a smile. She could feel everyone's eyes on her and she had to fight the urge to begin cackling madly. She loved this, the power was more than addicting and she could feel it welling up inside of her as she continued to the elevator that would take her to where they were keeping all of her mudblood toys. It was not long before they arrived on the tenth floor, the new home for The Muggle-Born Registration Commission. A stumpy toad of a witch dressed all in pink was waiting for her. "Madame Lestrange," her appallingly high pitched voice rang. The Rodolphus x Bellatrix Group!!! hello there, I'd like to ask if I can affiliate my group with yours? thank you for paying attention nonetheless! best group ever! we need more of these two!